Masters of the Department of Biochemistry and Biotechnology Anastasia Grushchenko and Lesya Syschuk, who became scholars of the program 2018/2019 Leonhard Euler (https://kbb.pnu.edu.ua/…/our-master-students-lesia-sishchu…/) from the German Service of academic exchanges (Deutscher Akademischer Austausch Dienst, DAAD) have undergone an international traineeship at the Hannover School of Medicine (Germany) for two months of this year (October-November). 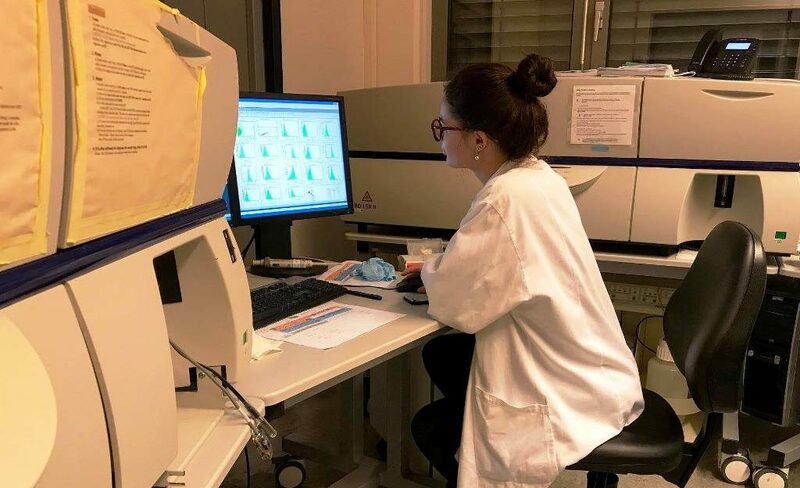 Our students successfully completed part of the master’s program in the German research group under the direction of Dr. Tetyana Yevsa (https://www.mh-hannover.de/ag-yevsa.html) at the Department of Gastroenterology, Hepatology and Endocrinology of the German University. Experiments of masters are devoted to immunological and biochemical features of laboratory mice with precancerous condition and liver cancer.